Volkswagen has announced the biggest shake-up of the management board in its 78-year history, as the company desperately sought to regain control of the world's biggest car maker after the damaging diesel emissions scandal of the past week. Click here to see the build-up and our live blog of the VW #dieselgate emissions scandal. After VW #dieselgate, will your next car be diesel? Mueller is hardly short of things to do. The most pressing questions are how to respond to the 482,000 cars in the US fitted with the 2.0-litre diesel engine. The options range from 'reflashing' the ECU on all affected models and rewriting the software to - in the more extreme view - buying back all the diesel cars and scrapping them. Some engineering sources are worried that simply fitting new software will not do enough: the cars could become slower and less efficient, and use up more urea. CAR magazine has seen analyst reports citing independent experts who fear engines could overheat and suffer long-term damage. Handling the recall effectively - and transparently - might just stave off the American agencies who are circling Volkswagen with the threat of huge fines and criminal prosecution. Then there's the question of rooting out the engineers responsible for the 'defeat device' cheat mode in the software that caused the scandal in the first place. 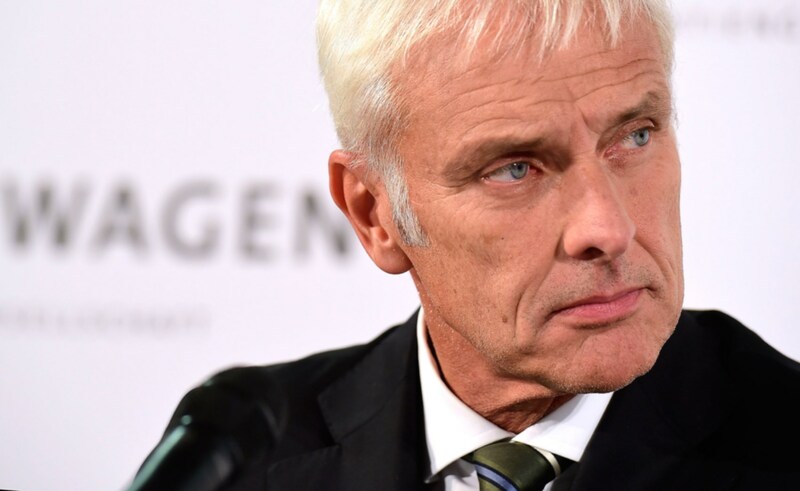 Heads have already begun to roll, but the new chief must ensure that all connected with the programme are suitably punished - and that a compliant new culture prevails at Volkswagen. Mueller's first speech tonight suggests that's the overriding aim of his leadership. Could this spell the end of diesel? Most analysts agree that VW's diesel strategy in the US is mortally wounded. Can it now regain buyers' confidence by concentrating instead on plug-in hybrid gasoline models? It seems the most natural strategy shift. It's only Europe that's in love with diesel. And #dieselgate is likely to erode even that love-in as NOx becomes a buzzword in all territories; it's now surely only a matter of time before new test procedures around the world tighten the emissions thresholds of all our cars. The fines and additional costs of correcting #dieselgate will weigh heavily around Volkswagen's neck for years to come, most observers agree. Some worry that new product lines - even Bugattis and Phaetons - could be at risk. And will Audi really still enter F1? Nice-to-haves like motorsport programmes are surely an easy cull as Wolfsburg rebalances and 'greens' its strategy. Make no mistake, this is a turning point in the world's relationship with the automobile.